Hi! I'm Rod Hawkins and I am a Loan Originator for F&M Bank. I am a graduate of Austin Peay State University with a BS in Communications and I have over7 yrs ofexperience as a Loan Officer. Clarksville is a great place to live.Being a native, I couldn't think of a better place to call home! Product knowledge, experience, and service are some of my best traits. Call me anytime for pre-qualification, quotes, and scenarios. I will originate the best loan program to fit all your needs. I am here to help you with all your mortgage questions and concerns. Let me take the stress out of your home loan process. Clarksville would notbe the same without Fort Campbell Army Base, VA home loans is one area of my expertise, I also specialize in Conventional, FHA, Prime, Sub-Prime, Commercial, Construction, and Land Loans. If your purchasing or refinancing, good credit or bad credit, I have the product and service to fit your needs. I am licensed in Tennessee and Kentucky. "We appreciate all your hard work on getting us the right home loan. Thanks for helping us out." 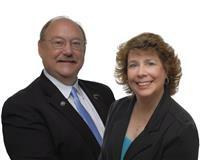 John and Patty M.
"You we very friendly andknowledgeable,I appreciateyou makingmy home loan processsmooth and easy." Trina D.
"The first mortgage company we went to quoted us an outragous rate and a lot of fee's. We were told we didn't qualify for a fixed rate and our's would be adjustable. When I called Rod he qualified us for a low fixed rate. We couldn't believe it. Rod, Thanks for saving us a ton of money" Mike and Jesse P.